I love the way those French girls just get it right! I think it passes down from mother to daughter, because whatever age, French women just seem to have the edge. In the states they do super groomed and super polished, which is great if thats your thing....But I love the organic way the French dress, its just such a simple uncomplicated style! Anyway Michelle, whatever it is you have it in shed loads too...But the pink is SO not you...sorry!! Love the new sneakers, you have proved already that they are going to earn their keep! Style does come so naturally to the French girls doesn't it Helen, they do indeed have the edge! After skim reading *How to Be a Parisian* a few weeks back, I'm trying to get to grips with being more undone as I think I naturally lean towards the need to look groomed! I've finally broken the habit of matching my lipstick and nail varnish as least...lol! I'm enjoying toying with a more undone look because I do admire the uncomplicated style of those French girls! Love the new hi-tops. 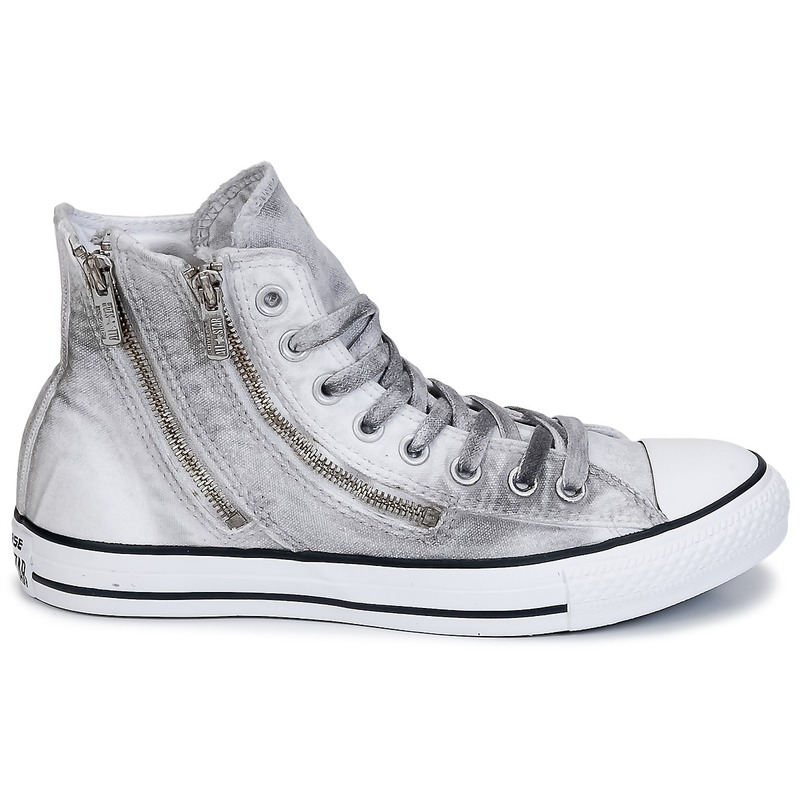 I do like Converse, but I can't wear the flat ones ... currently I have my sister (who lives in Boston) trying to track down a pair of Converse wedges in grey suede. Watch this space!!!! Hi Michelle - off topic question.......what would you say the sizing is like on your Muubaa leather jacket? I am slim up top with long arms and am wondering if an 8 is going to be generous enough :/ x PS I LOVE your style but agree, the pink just isn't right somehow. Hi there! I checked my MuuBaa and I have a size 10. I would say they are quite slim fitting, the sleeves are quite long and narrow but mine has zips on the cuffs so that's not an issue. I'm normally a size 8-10 on top, I can do the size 10 up (just about) but I would never wear it done up anyway. Hope that helps....give me a shout if there is anything else you want to know! Thanks, that's really helpful. Am venturing into bike jacket territory and just don't know how it's going to work out - so am going to 'dip my toe' by keeping an eye on ebay. If I get the wear out of a bargain I might then invest in something better.